We Are Boston, MA Train Accident Lawyer Experts. Call Our Massachusetts Train Wreck Attorney Specialists Today at 617-787-3700. If you sustained injuries in a Massachusetts train accident or have lost a loved one in a Massachusetts train wreck collision, the Boston, MA train accident lawyers and Boston, MA train accident wrongful death attorneys at the Boston, MA Law Offices of Gilbert R. Hoy, Jr. and Affiliates will help you protect your legal rights. 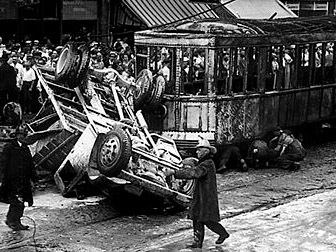 Our expert, highly skilled and experienced Boston, MA train wreck accident lawyers have helped many Massachusetts train accident victims and their families. Our Boston, Massachusetts train accident lawyers would be honored and pleased to help you. Please call our Boston train accident lawyers today at 617-787-3700 or contact us by email at info@gilhoylaw.com to schedule a free and confidential, no obligation case analysis and review. Our Boston, MA Train Accident Lawyer Specialists Are Available 24/7. 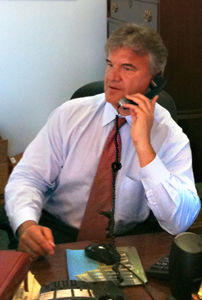 Our Massachusetts Train Wreck Attorney Experts Are Waiting For Your Call at 617-787-3700. One of our Massachusetts train accident personal injury lawyers will help evaluate the merits of your train accident case to determine your eligibility to receive monetary damages, critical to helping you recover from the life-altering effects of a Massachusetts train accident. You have nothing to lose and everything to gain, so call today! 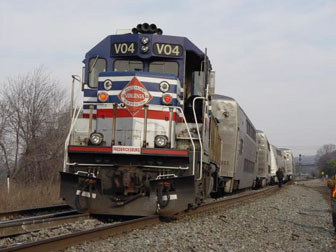 Although train and other Massachusetts common carriers are convenient for traveling and for shipping goods, their risk of danger has increased as their speed has increased over time. 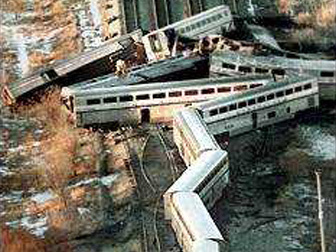 Trains and common carrier accidents can occur because of human error or other causes, such as derailment, explosions on the carrier and bridge collapses. If You or a Loved One Has Been Injured in a Massachusetts Train Accident, Please Do Not Hesitate to Contact Our Expert Boston Train Accident Injury Attorneys Today at 617-787-3700 or Email Us at info@gilhoylaw.com. the negligence of the Massachusetts operator of the train or common carrier, including failure to yield, being distracted by cell phone usage, driver fatigue, or excessive speed. What Types of Massachusetts Train Crashes and Other Massachusetts Common Carrier Accidents Can Occur? What is the Law in Massachusetts and for the United States? Massachusetts common carriers, such as trains, subways and trolleys, owe a heightened duty of care to passengers under applicable Massachusetts and federal law. Therefore, if you are injured due to the negligence of the railway company or operator of the common carrier, you are entitled to receive damages for their breach of care. What Should You Do if You or a Loved One is Injured in a Massachusetts Train Crash or Other Massachusetts Common Carrier Accident? You or your loved one should seek medical treatment immediately for your injuries. It is possible that you could have internal injuries or a concussion that may not be immediately noticeable but are still very dangerous. 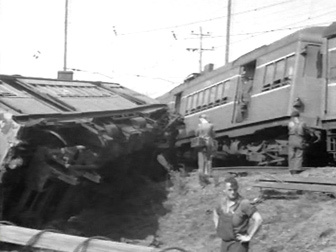 It is also important to examine and preserve any evidence relating to the Massachusetts accident. For example, pictures of your injuries or of the Massachusetts accident scene can prove to be helpful later on in your case. Additionally, you should get the contact information of the investigating Massachusetts authorities along with any other witnesses to the Massachusetts accident. You should contact the experienced team of Massachusetts train accident attorneys at the Law Offices of Gilbert R. Hoy, Jr. and Affiliates to handle your claim. Please call us today at 617-787-3700 or email us at info@gilhoylaw.com. Our Boston train accident lawyers are here to help you. Our Massachusetts train accident lawyers can be reached 24 hours a day, 7 days a week. In 1966, the Department of Transportation Act was established in an effort to promote common carrier safety and efficiency. This act established the Federal Railroad Administration, which was created as a means to supervise and enforce railroad operations throughout the United States. 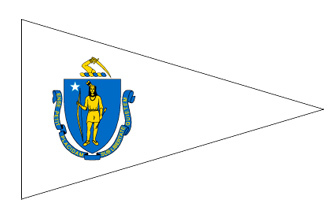 Common carriers that operate strictly within Massachusetts are subject to Massachusetts and not federal law. 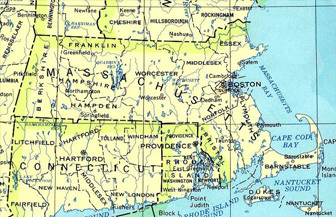 However, common carriers that cross the Massachusetts line and enter another state are subject to federal law. Under both Massachusetts law and federal law, common carriers owe their passengers a heightened duty of care at all times. One of the most common train accident sites in Massachusetts is railroad crossings. Oftentimes, railroad crossings are not adequately protected with the necessary lights and gates. The Massachusetts Department of Transportation has the duty of ensuring that railroad crossings are sufficiently safe. Unfortunately, however, limited personnel within the department have led to substandard Massachusetts railroad crossing inspections. In the event that you or a loved one has been injured or killed in a Massachusetts train accident, there are a number of parties that can be found liable. Typically, train accident liability can be attributed to train companies, train conductors and operators, maintenance companies, commuter rail authorities, trespassers, construction firms, design firms and engineering firms. A design firm or maintenance company may be held liable in the event that a train device is defective, or has been improperly repaired, and leads to a Massachusetts train accident as a result. Individuals may be held criminally liable if they trespass onto railroad property and thereby cause a Massachusetts train accident. If a Massachusetts common carrier passenger is injured as the result of the common carrier’s negligence, the injured passenger generally has a claim against the train driver as well as the train owner. The expert and highly skilled Massachusetts train accident attorneys at our Boston, MA law firm have been assisting Massachusetts train accident victims and their families recover compensation for over the past two decades. Such monetary compensation oftentimes includes medical expense reimbursement, rehabilitation expenses, loss of income, pain and suffering and loss of enjoyment of life. The majority of individuals injured in Massachusetts common carrier train accidents are common carrier employees. 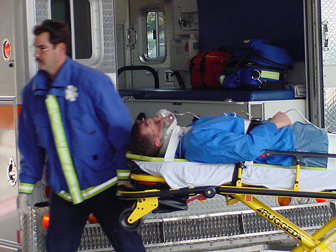 Injured common carrier employees are protected under Massachusetts law, Massachusetts worker’s compensation law and the Federal Employers’ Liability Act (FELA). FELA damages are available if the common carrier crosses the Massachusetts state line and is therefore subject to federal law. If you or a loved one has been injured or killed in a Massachusetts train accident, it is important to remember that there is a statute of limitations that limits the amount of time that you may have to make a claim. Typically, your claim must be filed within three years, and you are only granted two years to file a claim if it is being filed against the MBTA (Massachusetts Bay Transit Authority). It is, therefore, crucial that an expert, highly skilled Massachusetts train accident attorney be obtained immediately after a Massachusetts train accident. Contact our Massachusetts train accident attorney specialists today at 617-787-3700 or by email at info@gilhoylaw.com. Your needs are our top priority! Our Massachusetts nursing home abuse personal injury lawyers are proud to represent Massachusetts nursing home personal injury clients from throughout the Commonwealth. 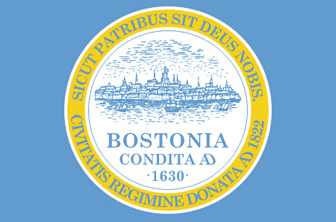 The Boston, MA Law Offices of Gilbert R. Hoy, Jr. and Affiliates is a team of Boston, MA lawyers from some of the best law offices in Massachusetts, including expert Massachusetts train accident personal injury lawyers and expert Massachusetts train accident wrongful death injury lawyers, who have been personally selected by Attorney Hoy because of their skill, experience and expertise. Many of the Boston, MA train accident lawyers and Boston, MA train accident wrongful death attorneys who are available to our Massachusetts clients through referral agreements have been repeatedly selected and recognized as among the very best personal injury lawyers in Massachusetts and, indeed, the country. If you, a family member or another loved one has been injured or killed as the result of a Massachusetts train accident, the best thing that you can do is to hire one of our highly skilled Boston train accident lawyer experts right away. If you select one of the knowledgeable and expert Massachusetts train crash attorney specialists at the Boston Law Offices of Gilbert R. Hoy, Jr. and Affiliates to represent you or your loved one, we will take care of all of your legal needs. The Massachusetts train accident lawyers at our Boston, MA law firm will use their extensive legal expertise and knowledge to effectively handle your unique situation and train accident claim. Our Boston train accident law firm is distinguishable from other Massachusetts law firms because our attorneys are more compassionate and caring and will work tirelessly for you. Our Boston, MA train accident law office has a number of the highest quality Massachusetts lawyers around. The Boston train accident lawyer professionals and Boston, MA wrongful death lawyer advocates at our Massachusetts law firm have represented many Massachusetts train accident victims and many families of Massachusetts wrongful death victims. If you or a loved one has suffered bodily injuries as the result of a Massachusetts train accident, please contact our highly experienced and expert Boston train accident lawyer specialists and Massachusetts wrongful death attorney advocates as soon as possible to help you get full and fair compensation for your Massachusetts personal injury damages or wrongful death damages. With an experienced group of some of the very best Massachusetts train accident lawyers that the Commonwealth offers, our Boston train accident law office is confident that our handling of your train accident claim will go beyond your expectations. Our over-riding goal is to provide you or your loved one with top of the line legal service and assistance with respect to your Massachusetts train accident, while earning your confidence, loyalty, trust and respect. Our Boston, MA train accident law office would be honored and pleased to represent you or your loved one, and we would be delighted to provide you with an initial free and confidential consultation with respect to your Massachusetts train accident claim. Our Boston, MA Train Accident Lawyer Experts Are Available 24/7 at 617-787-3700. Our Massachusetts Train Wreck Attorney Specialists Are Waiting For Your Call!